Be Modern Contract Solutions pride ourselves on our high quality product and service. We believe that we have a product to suit any project and would love to speak with you about the benefit to yourself and the end user of our products. In the meantime, this brochure offers you an insight into the products available. Our products are perfect for busy installers, available nationally through plumbers merchants and easy to install! 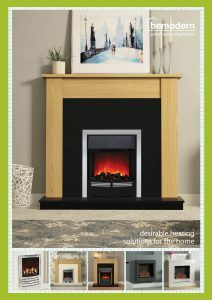 We have a large range of stoves available, from electric and gas to woodburning and multifuel. Should you be interested in seeing the full range of stoves available through Be Modern Contract Solutions, please do not hesitate to contact us.